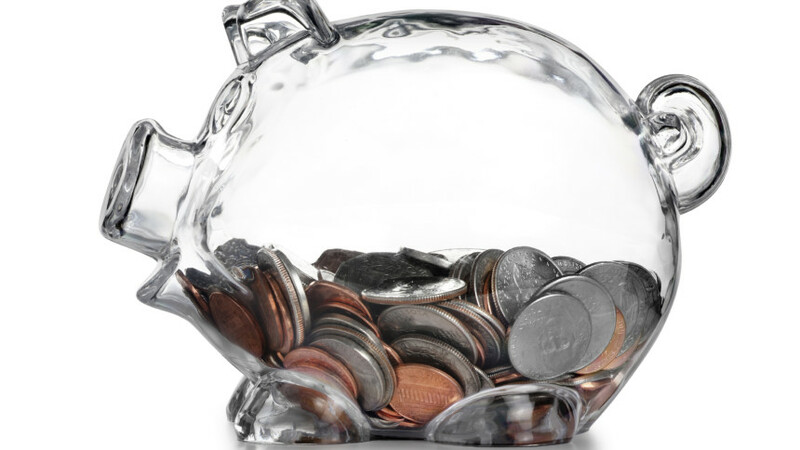 Transparency promotes economic development, research confirms. 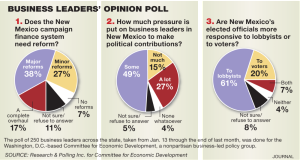 With a struggling economy and the highest unemployment in the nation, New Mexico business leaders say it’s time for more open-government reforms. New polling finds that shedding a light on campaign finance reports, lobbyist spending, and political contributions would help to prevent corruption and build both public trust and investor confidence in our state. 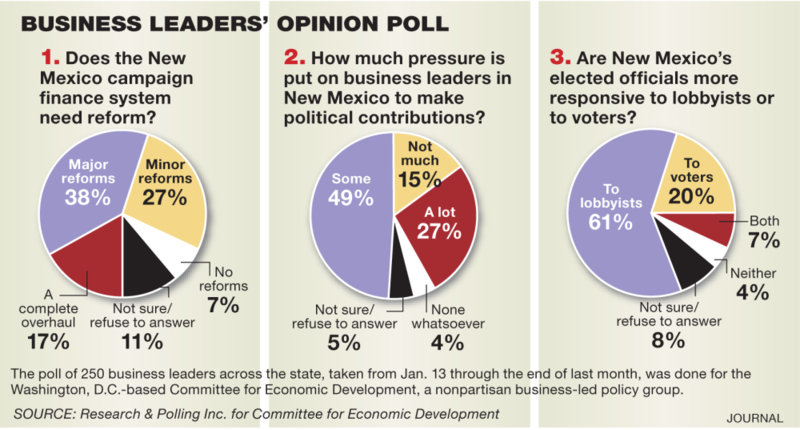 Two-thirds of business leaders said greater transparency of political contributions and government contracts is needed in our state. Next → Next post: Join us for our fifth-annual CLE!